Choose the Best Personal Investigation Services in New York City! Every time you let a stranger or even someone you think you know into your home, you are at risk of moral and/or physical injury. That is the sad truth of the world today, where it is all too simple to create a false identity through social media and other forms of modern technology. 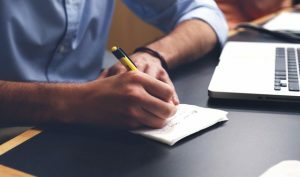 Fortunately, there are a number of things that can be done to safeguard you and your family from untrustworthy individuals, including hiring a private investigator. Regardless of your family situation – particularly if you have children – it is in your best interest to know what sort of individual enters your house or interacts with you on a regular basis. Thus, the primary purpose of your investigator is to ensure that all relevant avenues of the person’s past are explored, and that any information is obtained in a legal manner and can be used in a court of law if necessary. 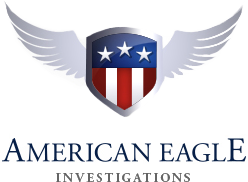 At American Eagle Investigations, we specialize in conducting a variety of personal investigations, be they for a future spouse, prospective employees in a private business, or anyone in-between. Our years of experience as private investigators in New York and surrounding areas have provided us with the necessary skills to implement a comprehensive process for each type of background check. Have they ever been arrested? Are they legally allowed to live and work in the United States? Criminal background checks run by the court will provide the date of arrest, the case number, the original charge and the disposition, i.e., whether the individual was found guilty or pled guilty, the disposition date, and whether the person received probation or parole. Your safety and well-being are our top priority, as we understand that what seems like extreme measures can oftentimes save you from a potentially unpleasant or even dangerous situation. Why place yourself at risk from another person when you can call American Eagle Investigations for help? If you believe that you may need to have a background check performed by our NYC private investigators, please contact us for a free initial consultation at 212-344-8997. We have some great reviews that our clients have left us about our service.